Available in 2 sizes, 150mm and 200mm high. Antique silver award with gold detail. 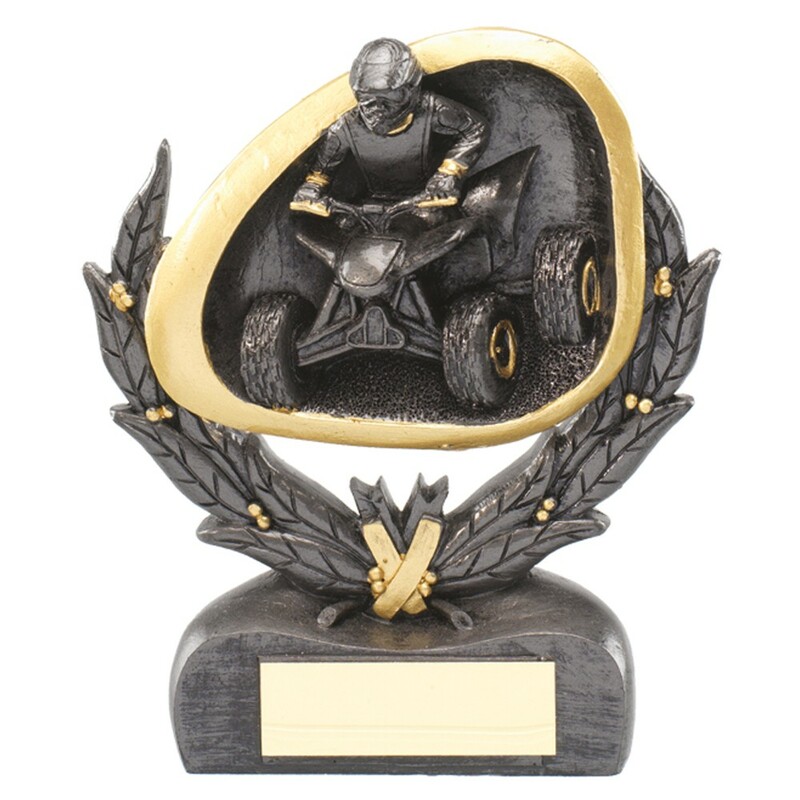 A great value quad bike trophy.